Iran’s Revolutionary Guard launches drill near Strait of Hormuz, a day after US carrier sails into Arabian Gulf. 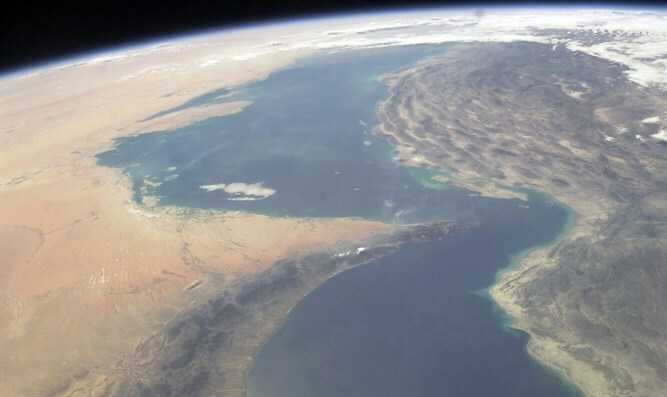 Iran’s Revolutionary Guard ground force on Saturday launched a drill near the strategic Strait of Hormuz, the passageway for nearly a third of all oil traded by sea, The Associated Press reported, citing Iranian media. The report said the guard’s forces will use combat helicopters and drones around Qeshm Island at the mouth of the strait. The annual war game dubbed “The Great Prophet” came a day after the USS John C. Stennis, a US aircraft carrier, sailed into the Arabian Gulf, according to AP. The Guard’s vessels trailed the Stennis and launched a drone to film the American ship. Most recently, Iranian President Hassan Rouhani threatened to disrupt other countries’ oil shipments through the Gulf if Washington presses ahead with efforts to halt Iranian oil exports. “America should know that we are selling our oil and will continue to sell our oil and they are not able to stop our oil exports,” Rouhani said. “If one day they want to prevent the export of Iran’s oil, then no oil will be exported from the Persian Gulf,” he added. His comments came as the pressure on Iran rises following US President Donald Trump’s withdrawal last May from the 2015 nuclear deal between Iran and world powers, which he has said is “the worst deal ever negotiated”. The US has since imposed two rounds of sanctions on Iran, the latest of which went into effect in early November. Those sanctions aim to reduce Iran’s oil exports to zero in a bid to curb the Islamic Republic’s missile program and regional influence.